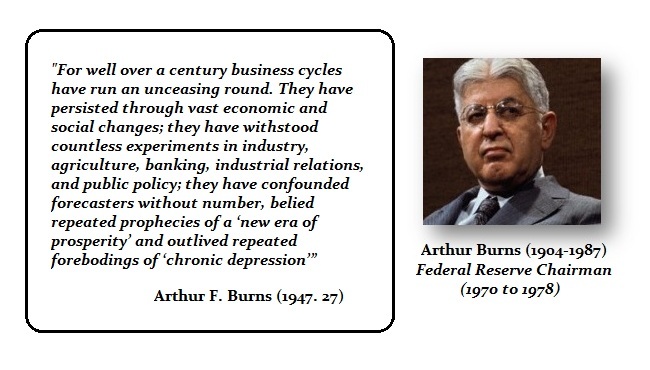 The business Cycle is something everyone admits exists, yet they refuse to accept that it can be defined and forecast with accuracy. The future to most seems to be an intangible part of time itself. It has no shape, no definition, no substance, yet politicians claim vote for them and they will force the future to comply with your desires. Nonetheless, simultaneously they argue that the future cannot be measured for we do not know its limitations or its boundaries. The future is very much an intangible, yet not when it comes to soliciting votes. Yet is it true that we do not know whether there lies ahead thousands of years or if tomorrow may exhaust the supply of time held within future’s grasp. The Roman goddess Fortuna was pictured holding a cornucopia in one arm with the other on the rudder of ship symbolizing she could change the course of your future any time she so pleased. Only the past and the present are tangible. They can be measured, studied, written about, philosophized about or even ignored for that matter. Yet the past and present remain the quantified tangible part of time itself for they are the only surviving evidence that time even exists. Nevertheless, there were two former Federal Reserve Chairmen Arthur Burns and Paul Volcker have concede that the business has defeated all attempt to manipulate society. Paul Volcker even called it the Rediscovery of the Business Cycle The entire theory that government can steer the economy has been proven to be so wrong it is no longer funny. Throughout recorded time, man has pursued an unrelenting search of some method, some scheme that would steal the very secrets held captive by the future. Mankind’s pursuit of the future has not only caused him to search the far corners of the world, but that of the universe as well. In ancient times, men of celebrated wisdom and stature would go to great lengths to travel from the remotest parts of the Hellenistic world to listen to the riddles spoken by a virgin in the lofty mountain tops at Delphi. 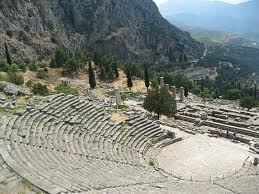 The tradition of consulting the oracle at Delphi persisted throughout the centuries. The oracle of Delphi compelled even the emperors of Rome hundreds of years later to embark on that very same pilgrimage in search of the answers to the future. Within every society, man has sought after the illusive secrets that he has envisioned being held captive in a golden cage by the future. Human kind has sought not merely oracles, but fortune tellers, sibyls, soothsayers, seers, mystics, and some noted charlatans and has listened to the interpretations of everything from tarot cards, the entrails of animals they kill, the flight of an owl, to the path of a comet in the night sky. The secrets of the future have forged the human soul into the supernatural. From a purely objective viewpoint, humankind has stumbled upon curious means that have had some success. Astrology has divided man and his very personality into twelve sun signs. Upon close inspection, although this science is far from being completely accurate, one will notice a sense of striking reality. Parts of this are amazingly accurate in assigning traits and even predicting the future in regards to an individual’s emotions. Too often we are compelled to make fun of or shun new concepts. Many people believe completely in the occult and will testify to the accuracy of tarot cards and astrological charts. It is said that Napoleon and Hitler both directed their many battles in coordination with the readings and predictions derived from the stars. Such methods obviously are not completely accurate or today we would have been ruled by Adolph Hitler, Jr. or Napoleon X. But nevertheless, there is some sense of truth that lies hidden within the stars. Is it possible that man did indeed stumble gracefully upon some mystical force? The universe itself was, after all, conceived upon a pattern of cycle. If it were not for this cyclical pattern, we would be unable to predict such common place events as winter, summer, spring and fall. Even everyday events such as watching the weather on television comes from a a study of its past or cyclical movements. With the study of the past, man has attained some success in forecasting the future. 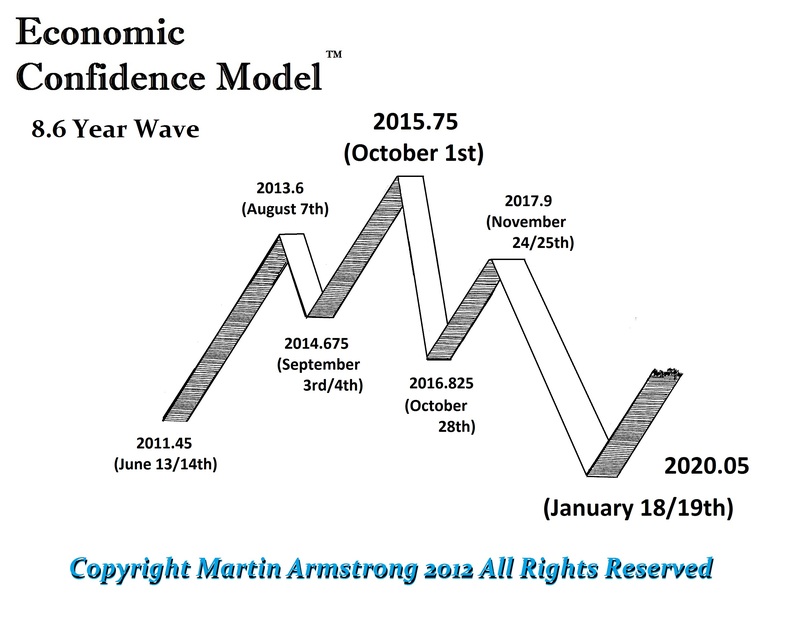 The key to comprehending the Global Economy lies in the realization that we are not alone. Everything is connected in an intricate dynamic nonlinear network where the slightest change in one region can set in motion a ripple effect of dramatic proportions around the world. Understanding this dynamic nonlinear global network is the first step in restructuring government and our idea of managing our political-social-economy. 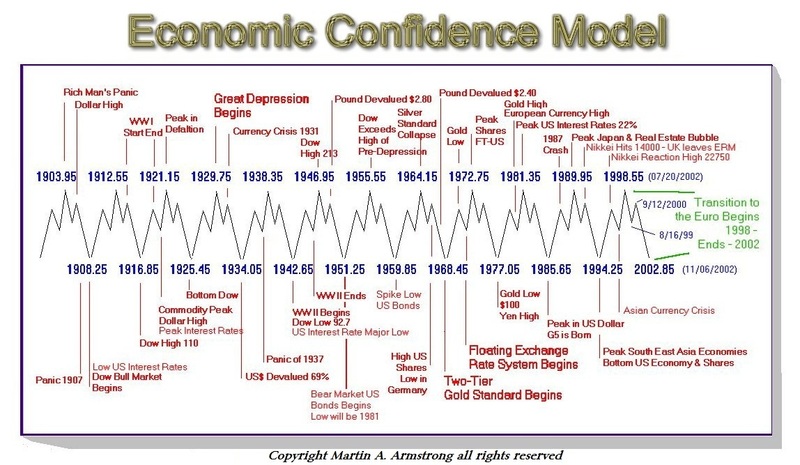 The primary mistake many make with the Economic Confidence Model (ECM) is assuming it should be a perfect model for the stock market, gold, or some other market. It is a global model and does not track any individual market. It is tracking the phenomenon of international capital flows. There is a shift back and forth between PUBLIC and PRIVATE investment trends. 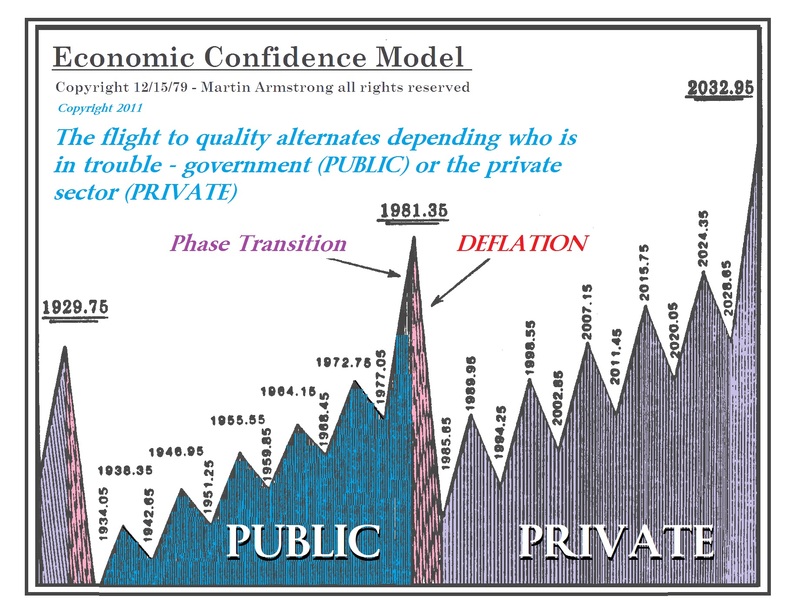 For example, the wave that peaked in 1929 was a PRIVATE wave where people had great confidence in the private sector. When the crash came, we turned toward the government creating a more conservative wave of PUBLIC investment where bonds do better than stocks. 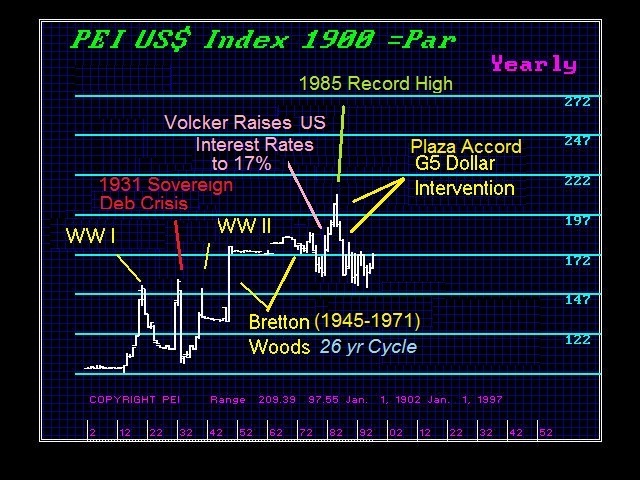 The peak of that PUBLIC wave was marketed by the peak in interest rates during March 1981. Confidence shifted back to the PRIVATE sector and the Dow Jones finally broke through the 1,000 barrier. 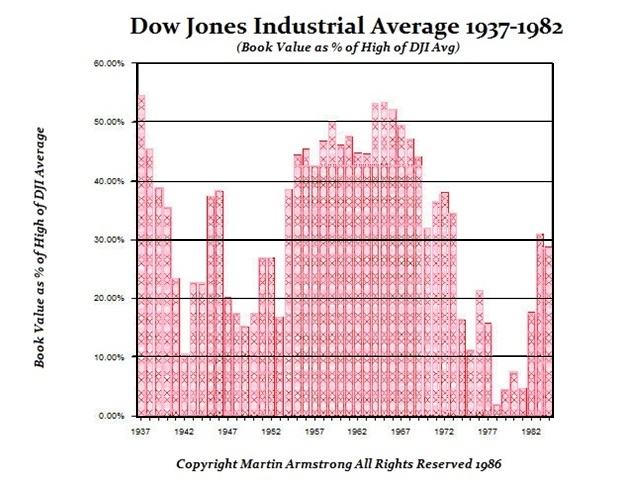 The takeover boom began as stocks had been ignored during the PUBLIC wave and actually bottomed in 1977 from a book value perspective. The takeover boom was caused by the realization that you could buy companies, sell there assets, and double your money. Stocks were seriously undervalued. Capital concentrates into a single region and then into a single market. 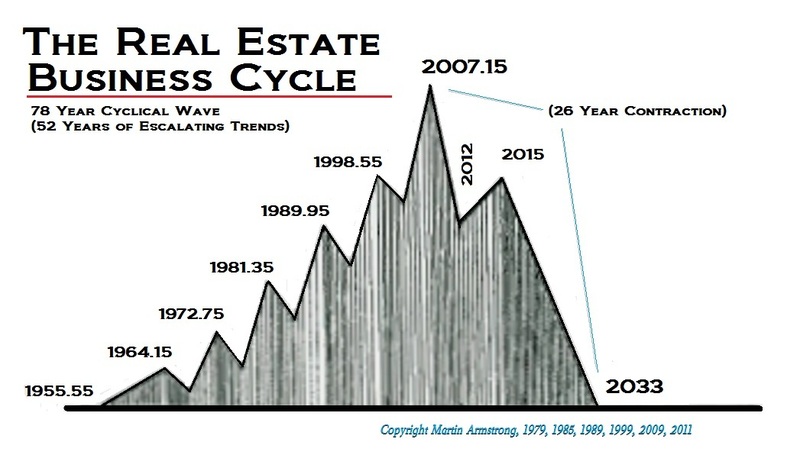 There is a cycle to this as well from within a region such as the hot market will be real estate, bonds, stocks, commodities, and then back to real estate. What makes a bubble is this concentration of capital. 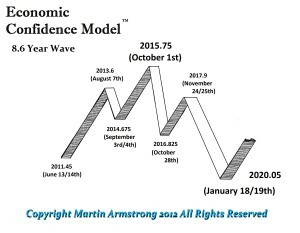 However, every market retains its own cycle and it is when that cycle lines up with the ECM that we get the big booms and busts. 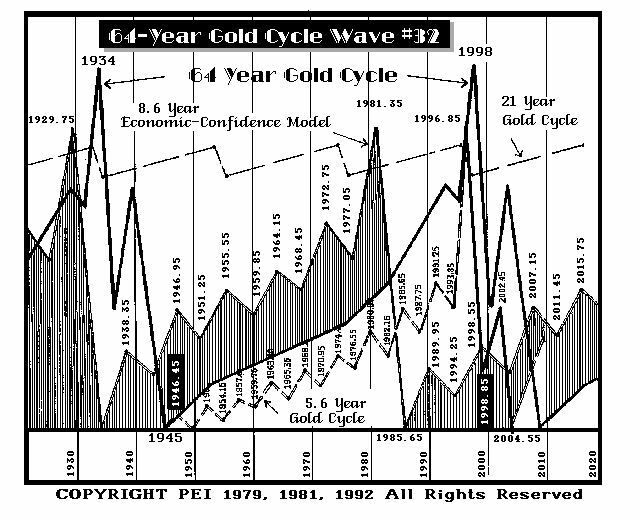 Gold has a 8 year cycle that is fractal building into a 64 year cycle. It peaked in 1980 and declined for 19 years until its model turned in 1998. Because gold has been used as money periodically, you must understand that in a gold standard, inflation means gold declines, whereas it is the opposite during a free market. 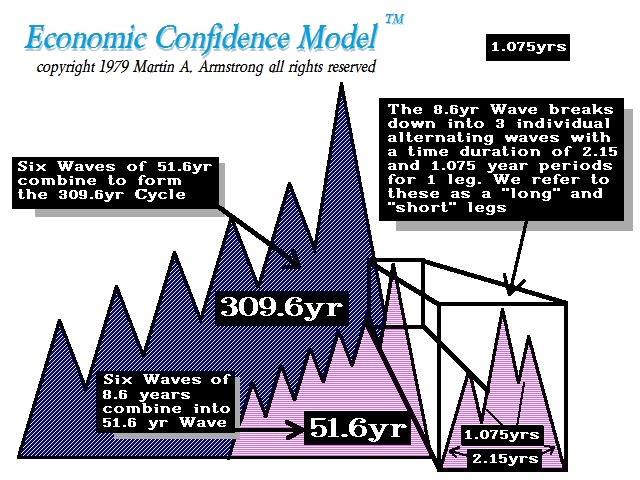 Therefore, while the 64 year model shows an idealized peak for 1998, it is a turning point rather than a particular high of low. 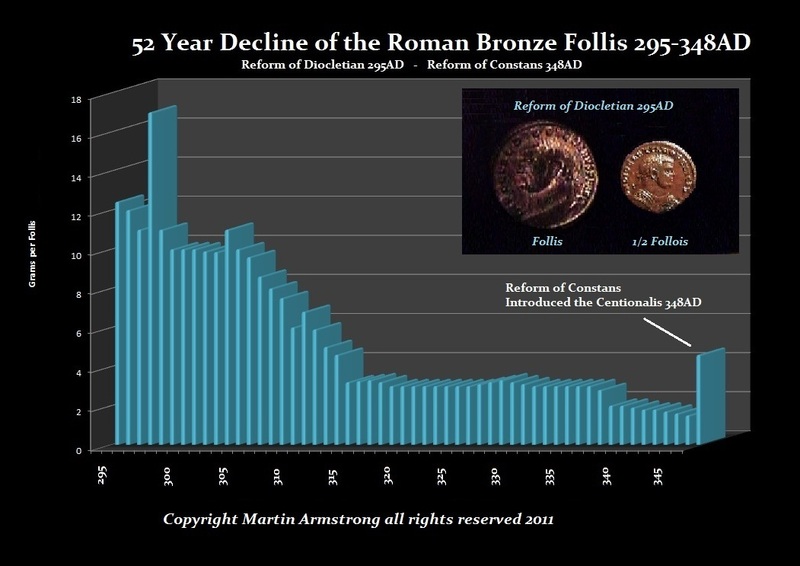 The low in gold at that time sets it up for its ultimate high against government 64 years later. The key to understanding the ECM is this global capital concentration. Hence, 1929 was a concentration of capital in the USA as money fled Europe and correctly so since they by and large defaulted on their national debts in 1931. This drove the dollar to historic highs, confused politicians who then adopted protectionism, all because capital was fleeing. Today, capital is fleeing Europe in fear of defaults once again. Its proper use of the ECM is to understand that it is NOT a model based upon a single market and it should not be attempted to force fit this model to any individual market. The key is to watch the individual market that is lining up with the ECM and that is where the most intense capital flow will be moving. This is why there was a bubble top in US in 1929 and 1989 in Japan. It is global capital flows. Each market has its own cycle that is separate and unique. It is when that individual market lines up with the ECM that you get the big moves. The 2007.15 turning point picked precisely to the day the peak in the real estate indexes. That was the real turning point. The pressed called it Armstrong’s Revenge. But this is simply how these function. Capital concentrates into a single sector within a single region. It is that concentration of capital that makes that market explode. The 8.6 year frequency is fractal in nature and it may indeed work from different dates other than the formal dates we show on the ECM. This is a frequency that is inherent in everything and is fractal in nature. Its proper use is determining the shifts in capital flows to yield the boom bust cycle in the economy (global investment). It is by no means a universal model for every market. Cycle duration in Agriculture tend to be shorter and more volatile because they are also lined up with weather. The markets in financials (stocks & bonds) tend to be the longer than commodities, with the longest cycle duration being real estate. This cycle has been present even in ancient data. So it is by no means geared to a single market nor should it be presumed to be a perfect model for an individual market. 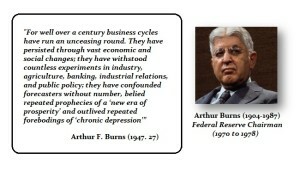 Each market has its own cycle. These are what we show in the Forecast Arrays which are not based on the ECM. 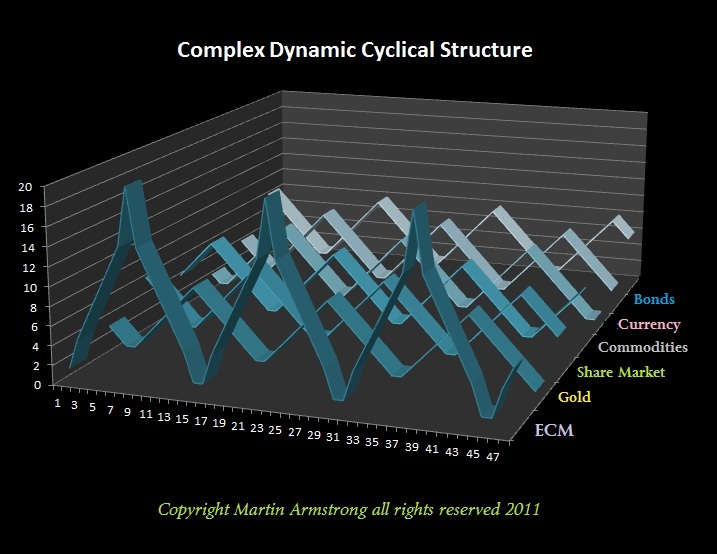 It is the correlation of the individual market cycles to the ECM that we discovery where capital will flow to next. By no means try to use this for a individual market unless that market lines up with the ECM. As you can see, all the things that turn with the ECM over years is based upon capital concentration. It is inherent within the economic structure that we live.